It’s with such delight that I can share news of a new edition of The Universal Heart, the book that inspired the founding of this Network in 2000, and that “speaks” the values of this Network so explicitly. The book opens with the line: ”There is no other way to love but generously.” In writing the book I take into account all the many moments in which we are distracted from our desire to love generously. And with many stories and guidance, I show how possible it is to recover and perhaps live even more lovingly than before. 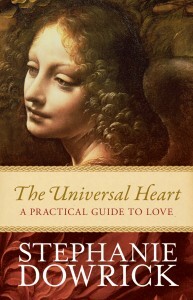 The new subtitle is self-explanatory: “A practical guide to love”. It has to be practical. Our need to live lovingly, with greater pleasure as well as consideration in all of our relationships, has only increased. I do hope you can open images with your email as I am including below the sublime image from the cover. Could a painter-created face be more beautiful – or more expressive of love? The book should be in your local bookstores. You can also purchase it from my on-line bookstore (along with any other books you want). For e-book readers, I notice that it’s currently heavily discounted on the Amazon Kindle site – except for those of you in the USA or UK where it’s not yet available. I don’t read much electronically because I spend so many hours on the computer. However, I know many people are enjoying carrying e-books in a single device. Some readers are already commenting on the new Universal Heart on my Facebook page. You can too. The genius of FB is not just its speed and accessibility but that I can see your faces! It’s literally a face book! And the easiest way to communicate directly. I am increasingly relying on it because from June of this year (a birthday month for me), I plan to cut down significantly on my travel and public speaking. It’s a watershed resolve because I truly love meeting readers, but I am aware how precious time is and want to give more of it to my creative work and ministry, and my family. You won’t be surprised either to hear that I’m keen sometimes to read a novel or walk or listen to music on a “working” afternoon! For every talk away from home there are many hours of admin and preparation and sometimes I feel I have done enough for several lifetimes…!! Meanwhile, I am travelling this weekend – cheerfully – to Byron Bay, taking part again in a wellbeing workshop organized by medical doctor/therapist Dr Cate Howell from Adelaide. My contribution is on Saturday, 12 May, a morning-long presentation on inner balance that includes developing trust in our choices, powers of “recovery”, and resilience. Cate is leading an afternoon on intuition and there’s a workshop on Sunday on hypnosis for those who want both days (or that one only). Please contact Cate at once if you are free to join us: cate.howell@gmail.com. Wherever you are, you can enjoy a number of talks recorded and uploaded to YouTube. The latest is on trust – but they can all be accessed via this link: http://www.youtube.com/user/interfaithinsydney Please share this link and any of this information with your own circles. You can comment on Facebook if you have insights to share. Details follow of events, plus the image of The Universal Heart. Scroll down for details about the coming Interfaith service in Sydney – Sunday week, 20 May, 3pm, with glorious music from Kim Cunio and Heather Lee – and group singing from 1.15-2.15pm with Elizabeth Lecoanet. Details also follow of the Kyoto writing retreat in late Oct/early November – open for all levels. Finally, I am sending you again some of my favourite lines from 8th-century poet, Lalla. They are too beautiful to share once only. My kindest wishes to each of you, and hopes that we too may live increasingly lovingly, and with delight. The soul, like the moon is new, and always new again. My teacher told me one thing. Offered on the 3rd Sunday of each month at 3 pm, these services may meet your needs for a time of unconditional acceptance and spiritual renewal. The teachings and music are invariably uplifting and the experience of gathering is, for many, deeply healing. Details: Interfaith services with Reverend Dr Stephanie Dowrick. Pitt Street Uniting Church, 264 Pitt Street, Sydney 2000. Nearest cross Street is Park. Some street parking. Excellent public transport (Town Hall). Services around 75 minutes. Tea, coffee, fellowship and a welcome to all. Please note the list of books recommended by Stephanie. The bookshop is a portal to Seekbooks where you can order safely from a complete range. 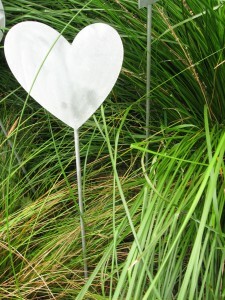 All sales directly benefit the Universal Heart Network. Postage is pegged at $6.95 for an unlimited number of items. 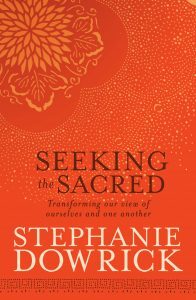 Special offer currently for Audio book (unabridged) and printed book: Seeking the Sacred. All books discounted. Please don’t hesitate to forward this Newsletter on. We can never know when an uplifting message is especially welcome.